Native Alaskan cultures fascinated us on Thursday. 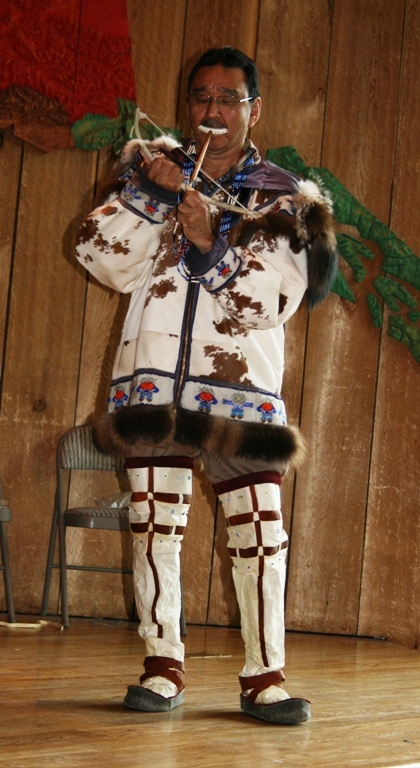 Native Alaskan cultures are the people first found in Alaska who have the same language and customs. 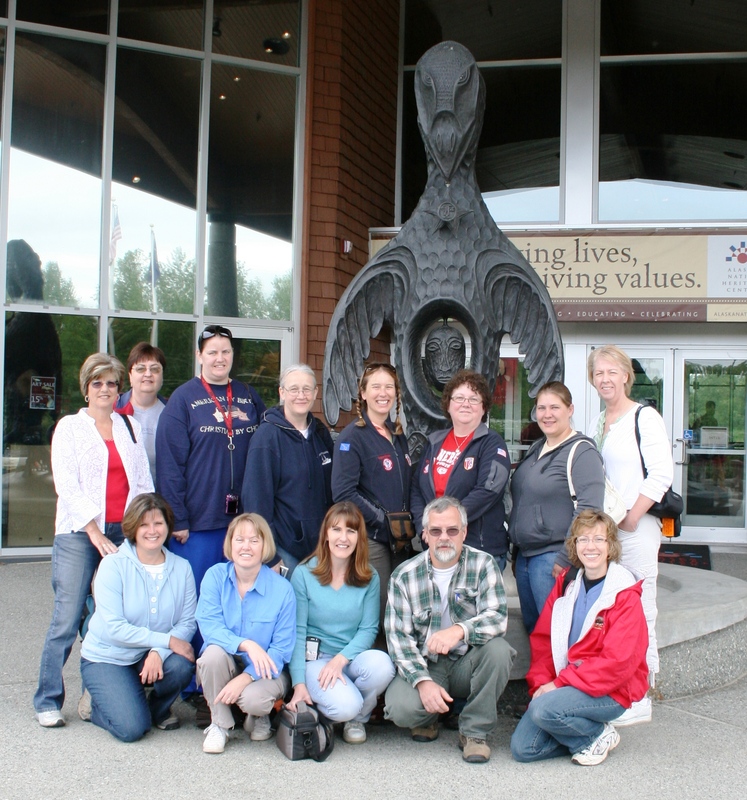 There are four Native cultures in Alaska, the Aleut, the Athabascan, the Tlingit, and the Eskimos. 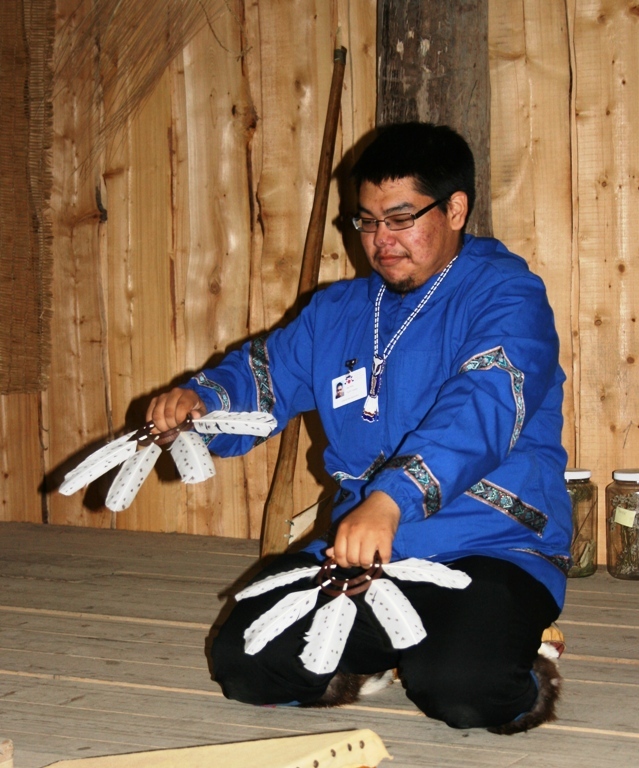 At the Native Alaska Heritage Center in Anchorage, Native Alaskans told us about these four groups, demonstrated native games of skill, told a story of a grandfather and growing up, and performed dances in Aleut regalia. I didn’t move for an hour and a half except to lift the camera to shoot pictures. An outdoor walking trail provides the oppportunity to see and go inside replicas of living spaces of the various cultures. Craftsmen carve totem poles, sew fur parkas (or parkys, as it may be pronounced), and explain the daily household items of the cultures. 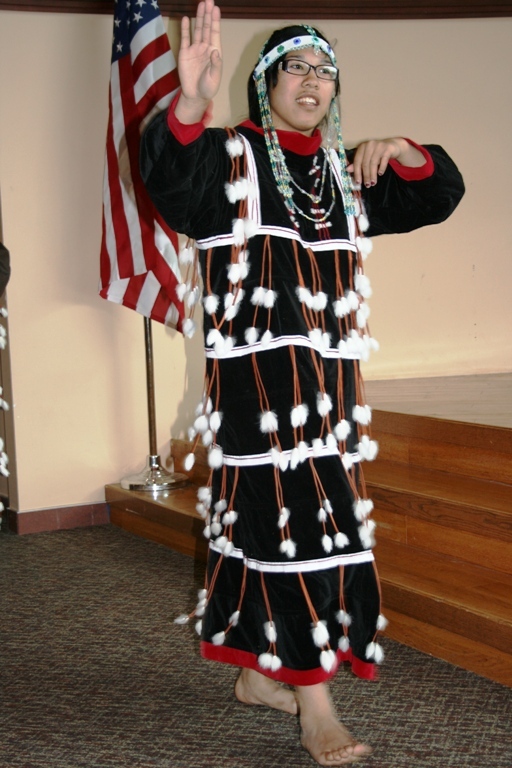 On the dancer’s dress, the swinging tails whisk rain off the clothing as the Aleut live in a rainy area. The man drilling walrus ivory bites an ivory mouthpiece against which the drill is held, then uses the small bow to spin the drill, drilling into another piece of ivory.